Fenagh Abbey is one of the oldest monastic sites in Ireland, believed to date back to the earliest period of Celtic monasticism. 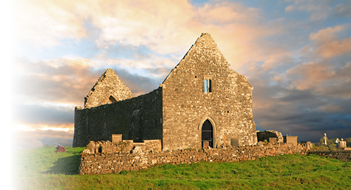 The founder was St. Caillin, thought to have arrived in Fenagh from Dunmore in Country Galway in the 5th century (according to the Book of Fenagh).The Abbey had a monastic school, and was "celebrated for its divinity school, which was resorted to by students from every part of Europe". The Abbey has (among other features) an east window of unusual design and a relief-carved 17th-century penal cross. A number of standing stones in the vicinity represent the petrified bodies of druids who tried to expel St. Caillin from Fenagh. There are a number of other prehistoric remains located in or near the village. 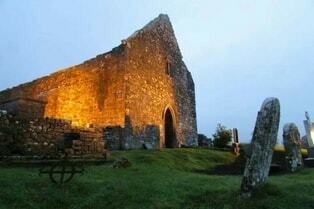 A portal tomb at the north of the village is said to be the burial place of King Conall Gulban. 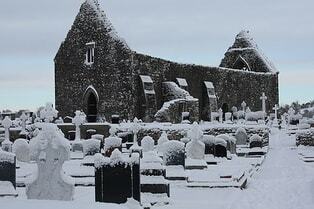 Nineteen Gaelic kings are said to be buried in the graveyard. 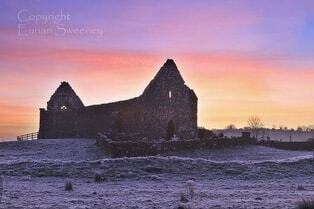 There was also a divinity school at Fenagh. It is believed that community life continued until 1652, when Cromwellian soldiers sacked it. It was damaged by cannon fire during the Williamite wars in 1690, and the last service was said in 1729. The site is on the northern shore of Fenagh Lough. 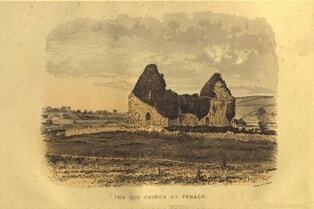 The Book of Fenagh was completed at the monastery in 1516, and a copy is now kept at the Royal Irish Academy. 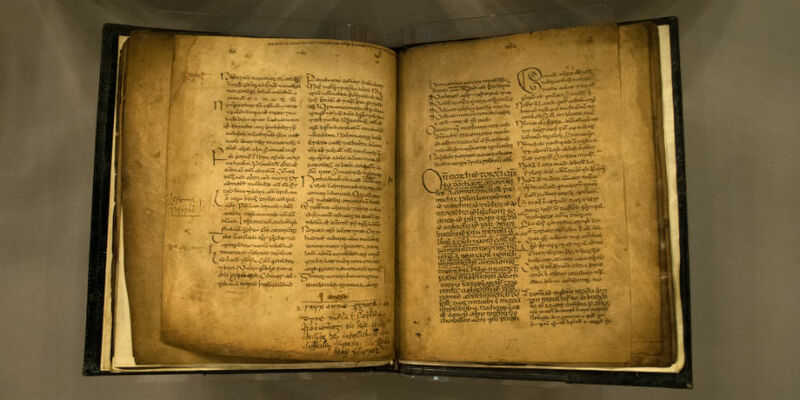 It was written in Irish, and contains verse and prose of the "life" of St Caillin of Fenagh transcribed and translated from the, now lost, Old Book of St. Caillin. The original Old Book of St. Caillin apparently "only contained prose" but the Book of Fenagh / Leabar Chaillín / Leabar Fidhnacha of 1516, contained both prose and verse. Some poems relevant to the politics of 11th-13th-century Tyrconnell, are thought to date from an earlier period than the rest of the manuscript. The Visitor Centre features the cosy Dolmen Café offering a selection of hot and cold food and beverages. Sit down and enjoy a freshly brewed tea or coffee in our friendly and relaxed surroundings. And have a selection of hot and cold food to suit all tastes and ages including soft drinks, soup, sandwiches, toasties, wraps and a children’s menu. The main hall is available for rent to individuals or groups and is ideal for group meetings, training sessions.